Please welcome Steve Kruse as our guest bike commuter this week – he chairs the Princeton Bicycle and Pedestrian Advisory Committee, and bike commuted from Princeton to Plainsboro through 2005. Steve joins us via an article he wrote almost 17 years ago, Two Wheels To Work, which appeared in the U.S. 1 Newspaper, May 28, 1997, used here with kind permission of author and publisher. It’s great to get a view from last century, to see what has improved, and what hasn’t. Steve’s article mentions road conditions, policies, motorists both considerate and not, and several planned improvements to the area. 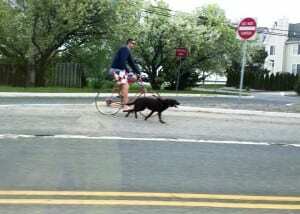 Steve noted that “New Jersey does not spring to mind as an especially bicycle-friendly place.” Is that still true? Maybe, but NJ DOT adopted a Complete Streets policy in 2009, so future improvements should include accommodations for biking and walking, transit users and those covered by the Americans with Disabilities Act. As our readers know, the state has jurisdiction over only the federal highways and interstates and a few other major arteries. Fortunately for today’s Princeton to Plainsboro bike commuters, Mercer and Middlesex counties, as well as Princeton and Plainsboro have all adopted Complete Streets policies – click here to see everyone in New Jersey who’ve adopted Complete Streets. 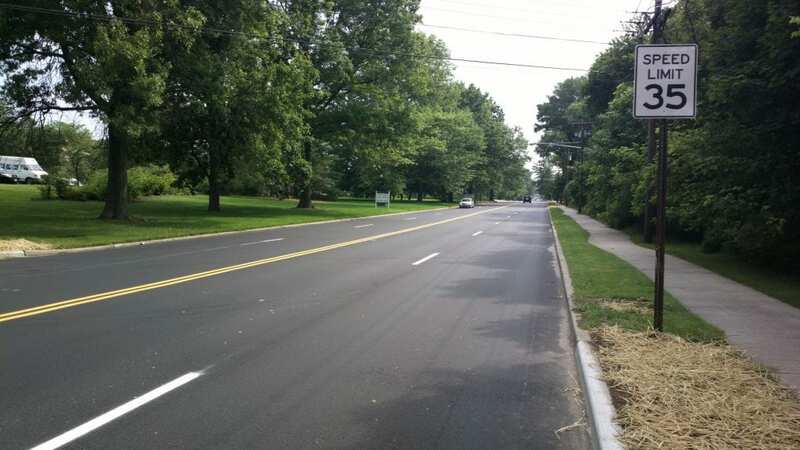 Significant improvements have also been made to onstreet bike lanes in West Windsor, which are beginning to form a network. Steve mentioned staying out of the “door zone” of onstreet parked cars on Harrison – Princeton’s shared lane pavement markings (“sharrows”), including on Harrison, guide cyclists (and notify motorists) to the safe lane position away from cars. 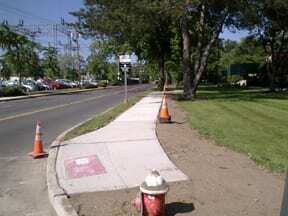 Plainsboro continues to extend it’s network of paved multi-use paths. 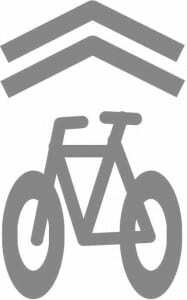 The League of American Bicyclists have designated West Windsor and Princeton Bronze level Bicycle Friendly Communities, and Princeton University earned New Jersey’s first Bicycle Friendly University award. As you read Steve’s article, what do you notice has changed? What has not? This post also appeared in On the Move, the blog for Greater Mercer Transportation Management Association. Is Roszel Rd a Complete Street? Roszel Road has recently been repaved, with new curb cuts on the sidewalk (one side only) to bring them into ADA compliance. Does that make it a Complete Street? Let’s look at the road in the context of it’s use to find out – we’ll use NJDOT’s Smart Transportation Guidebook (STG) as an objective source of a Complete Streets definition in the context of the road’s use. Roszel connects Alexander Road (between Rt 1 and the train station) to the Carnegie Center office park, and is home to Tyco’s corporate headquarters among other office buildings. STG calls this context a Suburban Corridor, while West Windsor’s master plan classifies the road as a Principle Collector – STG calls this combination a Community Collector, and provides guidelines we’ll use to compare with the current design. The NJDOT guidelines recommend paved shoulders and medians or a two-way left turn lane, since Roszel is a multi-lane road – neither of which were implemented. Sidewalks are recommended “as appropriate”, with a footnote detailing specifics for state and federally funded projects, so sidewalks on one side might be appropriate in a charitable interpretation, but we believe sidewalks on both sides are appropriate in this case. 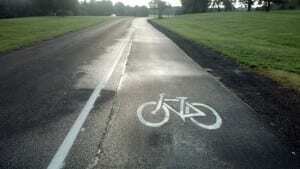 Bike lanes are listed “Evaluate for suburban and urban contexts” so their absence in the current road is mainly problematic because there are no paved shoulders or sidewalks on both sides to accomodate those cyclists who are not comfortable biking in the road. There’s still time to paint sharrows in the right lane, to encourage bicyclists to use the shared roadway. 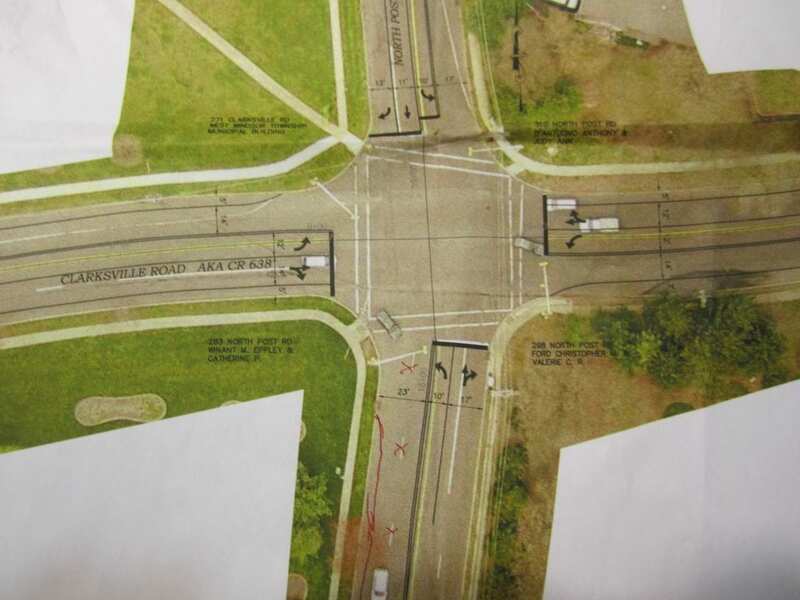 Overall, a significant opportunity was missed – Roszel provides a connection to one of our town’s major employment centers, and paved shoulders, sidewalks on both sides and bike lanes/shoulders would have been much more bike and walk friendly. Given the low volumes, a 4-to-3 lane road diet would have been ideal and inexpensive, with no loss of roadway capacity. West Windsor is applying for three bicycle and pedestrian-friendly grants from the New Jersey Department of Transportation. 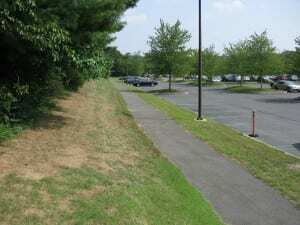 One will help pay for an extension of the Dinky Line Trail behind the office buildings along Alexander Road between Vaughn Drive and Route 1, giving bicyclists a safe alternative to Alexander Road and giving office workers a pleasant outdoor retreat. (See the map here: Dinky Line Trail Extension Map.) It falls under the Safe Streets to Transit program. 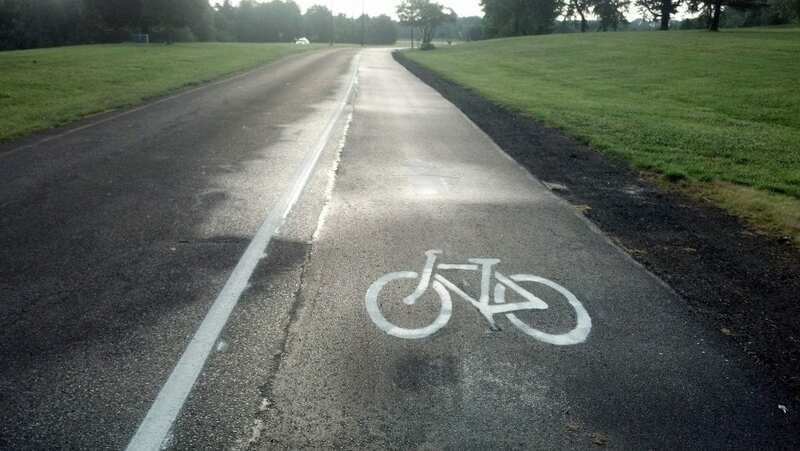 Another, part of the Bikeways program, would help extend the bike lane on Edinburg Road to the eastern entrance of Mercer County Park, creating a family-friendly route to the park. The third, part of the Roadway Infrastructure Program, would allow for the repaving of New Village Road between Edinburg and Old Trenton Road, including the bike lanes and ensuring that ramps at the crosswalks are suitable for those on wheelchairs, pushing strollers and others. While at least the first two are in this year’s capital improvement budget, any state funding obviously means less local money (via property taxes) will be needed. These grants are highly competitive, and state officials made clear at the New Jersey Bike & Walk Coalition‘s summit early this year that community support for the projects is an important consideration. Of course, the WWBPA will write letters as an organization, but we’d also like to see some from individuals. Write a letter to the mayor (we are told they want original signed letters, not emails) this week for each project you want to show support. The Municipal Center address is 271 Clarksville Road, West Windsor NJ 08550. Apologies for the short notice, but the township wants the letters by Friday. The letter does not have to be long. Any personal experience with the area and why the improvement is needed would make it even better. Help us show we want these improvements! I Bike. I Walk. I Vote. From the League of American Bicyclists: This year, around $700 million of Federal transportation funds, which in reality is less than 2% of total transportation dollars, will be spent on bicycling and walking. In 2012 that figure might be a big fat zero. 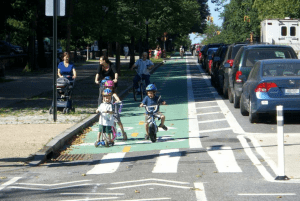 We expect that in the next few days, Senator Coburn (R-OK) will ask Congress to eliminate the federal Transportation Enhancements program – the primary funding source for the past 20 years for bike lanes, trails, bike racks on buses, bike education etc. This isn’t safe or smart; it’s not good for the economy or the environment; this is bad health policy and bad transportation policy. But they are going to try because they don’t think bicycling matters. Now is the time to Save Cycling, so we are asking you to contact your Senators and urge them to support continued funding for biking and walking. Don’t let them take away this vital investment program for smart, sustainable, safe transportation choices. 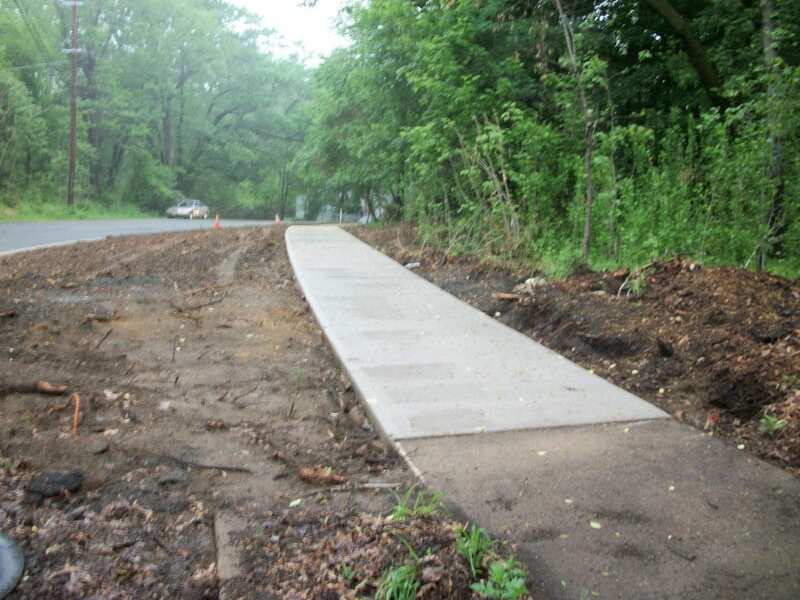 And as America Walks notes, the Transportation Enhancements program has also been the primary funding source for sidewalks, crosswalks, trails and more. If Sen. Coburn succeeds, it would mean an immediate end to funding for Transportation Enhancements. It would also mean that our chances of sustaining any funding for bicycling and walking (including for Safe Routes to School and Recreational Trails) in the long-term reauthorization bill would be more difficult. 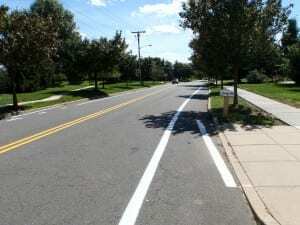 West Windsor has gained numerous sidewalk extensions and bike lanes in recent years, and these projects haven’t been exclusively funded with local tax dollars. Let’s make America more bikeable and walkable. Let’s have complete streets — streets that work for all users. Need an instant e- letter to send to our senators? Here’s one from People for Bikes. More Sidewalks and Bike Lanes! 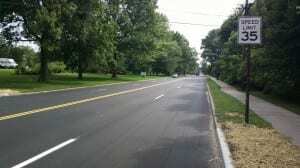 What an incredible year for new sidewalks and bike lanes in West Windsor! You’ve probably already seen the improvements around the train station, including better crossings, the sidewalk on the Schlumberger side and the striped shoulders that give cyclists some added comfort. There also are three key links in the sidewalk network that went in last month and finally allow people to walk to and from the Toll Brother developments, Windsor Haven and the farmers’ market over the railroad bridge on Alexander Road and to the library, Maurice Hawk and the Arts Center. Those parking at the Wallace Road lot for Arts Council events now have a much more direct walk as well. Now work has started on Penn-Lyle Road that not only will repave the road surface but add sidewalks to the east side of the road between Village Road West and Stony Brook Way as well as bike lanes on both sides of the road. This will let more students walk or bike safely to High School South. 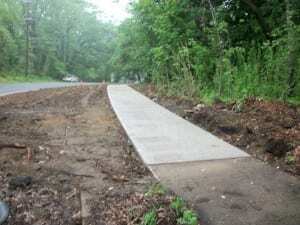 We also hear that work is progressing for the multi-use trail planned along South Post Road near the ballfields. If all goes smoothly, the project could soon go out to bid, with an aim of construction in September or October. The WWBPA has long advocated for these improvements, and we thank township officials, including the mayor and council, for making them. 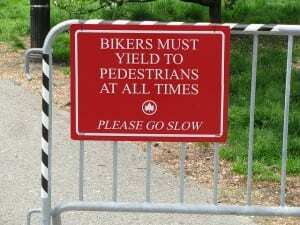 Comments Off on More Sidewalks and Bike Lanes! Here’s a study we like: dollar for dollar, building bike infrastructure creates more jobs than road works. The findings, publicized by the League of American Bicyclists and quickly making its way around the blogosphere, examined the costs of engineering, construction, and materials for different projects in Baltimore and found that bike lanes create about twice as many jobs as road construction for the same amount of money. (Pedestrian infrastructure also tops roads.) Some of it has to do with the need for labor compared to materials. You can read the entire study here. For those who say roads are paid for with gas taxes and tolls, well, no, they’re not. Not by a long shot, as this analysis points out. As the LAB points out, it’s one more way bicycle infrastructure is good for the economy. An LAB study notes that bicycle industry and bicycle tourism can boost local employment levels and economic activity. West Windsor is fortunate to be located along the East Coast Greenway, with hotels and other businesses that are accessible from the route, and just off the state’s mapped route from High Point to Cape May (Note: this file is more than 50 MB; be patient while it downloads–the guide is worth it). 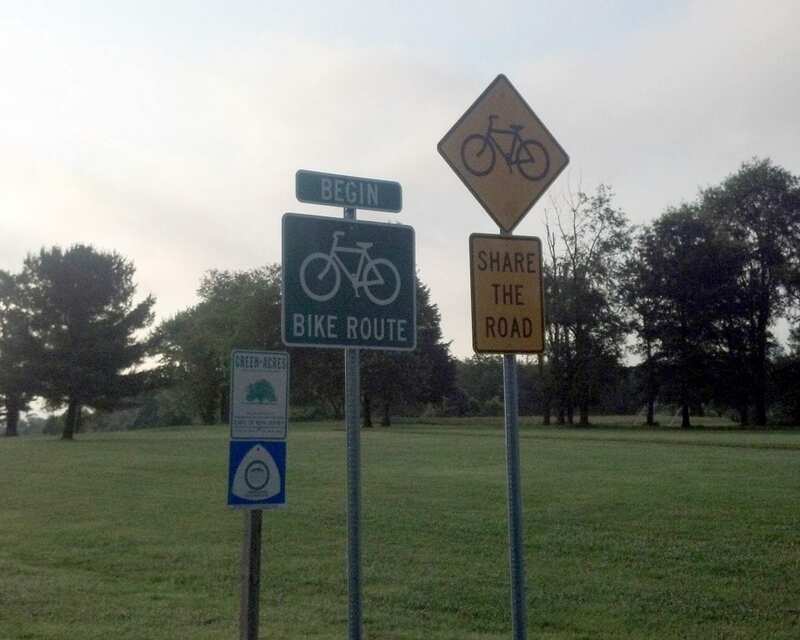 For more routes, see the NJDOT’s Biking in New Jersey Tours. 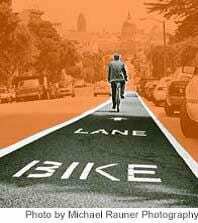 Bike Lanes, Paths or Highways? Separate bike lanes and paths, or share the road? This is a lively debate in the bicycle advocacy community, almost as controversial as whether bike helmets are good for cycling because they save lives or bad because they discourage too many potential cyclists (also known as the “dork factor”). Some say paths separated from the roadway are safer and encourage more cyclists. 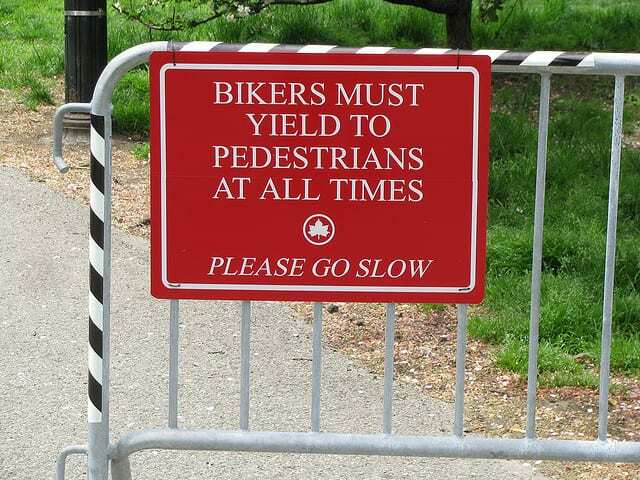 But such paths are costly, have their own conflicts (different speeds among cyclists and between cyclists and pedestrians). Plus, the law says bicyclists have a right to the road (and must follow all the rules of the road). By taking their place in the road, share-the-road proponents say, drivers must acknowledge the presence of cyclists and either pass them safely or go at a slower speed. Poorly designed bike lanes, such as those too close to parked cars and/or traffic, might mean less safety, as one study found. The WWBPA has recommended a two-foot buffer between a lane of parked cars and a bike lane to prevent cyclists riding into a door that is being opened (“dooring”). One idea in between is “bicycle boulevards,” which optimize low-volume and low-speed streets for bicycle travel and discourage cut-through vehicle traffic (a plus for residents!). In Denmark, Copenhagen is extending its bicycling network outward into the suburbs, creating what the blog Copenhagenize calls “bicycle superhighways,” for commutes of six miles or more. Other interesting ideas are “green wave” traffic lights, which coordinate the signal timing to hit green lights along your route, “branded” signage for specific routes, even bicycle service stations along the way.